Insects that play an essential role in moulding ecosystems may have begun their rise to prominence earlier than previously thought, shedding new light on how the world became modern. That is the finding of a new paper published by an international team of researchers led by Simon Fraser University's Bruce Archibald who is also a research associate at the Royal BC Museum. 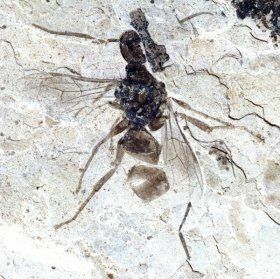 The team of collaborators from Canada, Russia, and South Africa examined insect fossils of the roughly fifty-million-year-old Okanagan Highlands fossil deposits in southern British Columbia, Canada and northern Washington, USA.